The SASSA Old Age Grant booklet outlines everything you need to know about the Old Age Grant. closed the comments section below. Ek het deur die SASSA pamflet gelees en vind die inligting onvoldoende ten opsigte van die maksimum inkomsteperk en omskrywing van die tipe bates wat toegepas word om te bepaal of iemand kwalifiseer vir ‘n staatspensioen. Sassa gebruik tans die kontant en beleggings en die inkomstes daaruit waaroor iemand beskik en die waarde van die woning waarin gewoon word om die perk te bepaal. ‘n Woonhuis waarin iemand woon lewer geen inkomste nie terwyl ‘n inkomste uit beleggings en kontant diskresioner is en nie ‘n inkomste soos uit ‘n pensioenfonds is nie. Net die rente en diwidende inkomste uit kontant beleggings behoort as inkomste beskou te word om die inkomsteperk te bepaal, maar SASSA doen dit nie. Myns insiens volg SASSA die praktyk doelbewus om mense wat ‘n neseier het uit te sluit van staatspensioenvoordele en beskou ek dit as diskriminerend. The information from SASSA has been put up on the YEI website merely as a guide to assist YEI readers. We believe that the SASSA booklet is helpful and informative to YEI readers should they be thinking about whether or not to apply for a state pension. YEI is not able to assist with specific queries and we do suggest that you contact SASSA directly with your concerns. 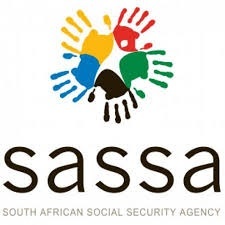 With regard to recent information on SASSA grants for older persons; it is worth noting that with effect from April 2016, (exact date to be confirmed) most, if not all, of the current pre-qualifying conditions for an older persons grant will fall away. I do hope that the contact you have established with the senior manager, communications and marketing for SASSA, Western Cape, will be able to provide vital information as and when the new policy comes into effect. Thanks for your comments and information. The Senior Manager with whom we seem to have established a relationship is pretty on the ball and we trust that when we contact her in March/April 2016 that we shall receive all updated and relevant information, which we shall bring to YEI readers’ attention. YEI received this 2014/2015 SASSA brochure last year – before the increase in grant this year. We’ll see if we can get an updated one. Ek wil net graag uitvind of my ma kan kwalifiseer vir die Ouer persoon pensioen. Sy ontvang tans n pensioen van R3 200 vanaf die Spoorwee maar hierdie geld dek net haar levy, medies, telefoon, en huis versekering. Die huis by die aftree oord is haar eiendom en die waarde is ongeveer R400 000-00. Die huis bring ongelukkig nie n inkomste in nie en daarom is dit baie moeilik,. Ek sal dit baie waardeer indien my net kan laat weet of sy kan aansoek doen, en indien wel vir my die vorms stuur met die dokumente wat julle sal benodig vir die aansoek. We would like to suggest that you and your mother visit your nearest SASSA local office with an enquiry such as this. This will be in your best interest to find out whether or not your mother is eligible for assistance from SASSA. I would like to knw when is the women gonna get their pension grant at age 55 yrs old as promised. They sai it would b approved by 2015. No one talks about it anymore. People die young many women and men die at young ages . Y can’t they keep their promises . Women must get pension frm 55 yrsof aged. Your query has been sent to SASSA for response. We will advise you should they respond. 1. one’s bank balance may not indicate funds in excess of R800 over three months’ statements? 2. should one have any relatives in SA, they have to care for you instead? 3. what ‘assets’ do they consider as a ‘disqualifying income’? 4. should one have been unemployed for months (after 60 age) and am unable to find employment, would one be granted this pension? 5. especially as one’s credit record and personal SARS (and everything) is a mess? 6 is there a specific legitimate list of what could disqualify one, over and above one’s compliance with the ‘requirements’ on SASSA’s website? 1.	one’s bank balance may not indicate funds in excess of R800 over three months’ statements? 2.	should one have any relatives in SA, they have to care for you instead? No, that statement is not true. SASSA social grants are based on the applicants personal information and financial position. 3.	what ‘assets’ do they consider as a ‘disqualifying income’? And R11 500 per month for married couple. 4.	should one have been unemployed for months (after 60 age) and am unable to find employment, would one be granted this pension? Yes, but the income and asset means test will apply to determine the qualifying monthly amount. 5.	especially as one’s credit record and personal SARS (and everything) is a mess? No there is no other reason for disqualification, other than not complying with the requirements during the interviews with SASSA officials and submitting the documentation for the application within the timeframes set. My mom had severe dementia, and is 89 years old. I’ve asked Carin from SASSA. (Pretoria)if she could arrange for some one to come here to the flat, to help my mom to get a government grant. She forwarded the email to the Germiston branch and asked then please to assist. I was emailed back to say I must take my mom there (When I asked Carin it was for both of my parents, that was abt 2-3 years ago) sadly my dad passed away recently. I cannot take my mom in, she can hardly walk I have to pull her along, I cannot leave her alone as I have to be here for her all the time and to take her out of her comfort zone, it will upset her terribly. Is there anyone who can please come and see my mom, and help her here at the flat to get the government pension. My mom really needs help as she has a lot of bills to pay for my late dad. We regret that we are unable to respond to specific enquiries outside of the Western Cape. Should the YEI reader live outside of the Western Cape, they need to contact their Regional Office in their area. Please let me know what u require as I really need to apply for SASSA pension fund? Email to vinaetelvina@yahoo.com thank you! What are the requirements to qualify pleaase?! Thank you! Thank you for your comments and query. This has been sent on to SASSA for response. Yes you do have the right to apply, if you experience any problems at the SASSA office you are welcome to bring under the attention of the Office Manager at the office. Why can’t the Western Cape office be proactive and ask the respective office to respond instead of washing their hands of the suybject? I have sent numerous emails to the Gauteng office and KZN offices but no reply and nobody answers the phones. My brother is totally handicapped – paralysed and unable to communicate as a result of a severe stroke about 10 years ago. He is being cared for in afrail care home at great expense. How can you bring these matters to the attention of the respective Office Manger when phone calls and emails are ignored? Thanks for your enquiry. This will be sent to SASSA for response. Should they respond, the response will be posted in this forum. Is this just for South African citizens or can a permanent resident apply? Thank you for your query. This has been sent on to SASSA for response. I read that you could withdraw the SASSA grant till the end of the month in which the person died. My mom passed away 28/08/2016 and there was still a lot of stuff of hers to pay on 31/08/2016 but the grant was already stopped by then and we couldn’t withdraw any money . All social grants are payable up to the end of the month in which the beneficiary dies. In this case above, the pension could have been withdrawn during the earlier part of August. Then no further pension is due. If no pension was withdrawn at all during August 2016, then the family member who paid for the funeral cost can apply at the SASSA office for “unclaimed benefits”. I own the house I live in and my main income comes from a small flat that I rent out. I still have a small bond on it. My annual income after expenses as per my SARS tax return is R65 000 per annum. I am 71 years old and am not employed. Will I qualify for a grant? We will send your query on to SASSA for response. We will upload the response once we have heard from them. The legislation of the Social Grants advises that any applicant who owns a house and lives in it, the value of the property will be captured but it will not be assessed against the application. If the applicant owns a house /property/flat but does NOT live in it and receives rental income the value of the property and the rental income will be assessed against the application. Hi. This is about pension – I have a query about a foster care payment outstanding – can you assist me because I’ve been to Sassa Springs twice but getting no progress? Hi I am trying to establish where my nearest SASSA offices are. I don’t have a car and will have to get a taxi. I have Osteoartritis and Osteoporosis and anxiety.I live in Bram Fischer Drive, Ferndale (Randburg). Your query has been sent on to SASSA for direct response. I just lost my mother on the 24th of Feb 2017.and the automatic lapse on her payout applied for the same month.what do I need to do to claim funeral cost from sassa for the month of her passing. Your query has been sent on to SASSA for response. It is legislated that all grants/pensions are only paid up to the month with the beneficiary dies. The enquire if there is any balance available please visit the SASSA office to apply for unclaimed benefits..
Hi Pension not paid on 1 st March. Contact numbers just ring for 15 min plus then a auto disconnect. Do I have to go into a office and wast a day or to to find out why? Please contact the following number 0800 600 160 or visit a SASSA office. Ek en my eggenoot is in 1979 op Huweliksvoorwaarde getroud. (buite gemeenskap van goedere) Hy ontvang n maandelikse pensioen ek het geen inkomste nie. Ek is 68 jaar oud, kwalifiseer ek vir n maandelikse staatspensioen. My grandmother passed away on the 21st of April, how do we cancel her pension grants? Is it possible to do it electronically or must we go to the Sassa offices? Also she lived in Mpumalanga and we live in North West can we do it in our hometown in North West or should it be done in her hometown? Your query has been passed on to SASSA for response. This 77year old lady who has a sassa card is earning R20000 pm from working flea markets, receives R3400 per month from me, R3317. 67 interest from one of her 7 accounts, other accounts hold R91 000, R32 000 and R28 000. ,possibly gets a UK pension, possibly has more than 1000 000 in her various accounts, owns a R80 000 car. I have tried to email the fraud department but it keeps failing. Can anything be done? Your enquiry has been to SASSA for response. Thank you for your query. We will put this to SASSA and will upload their response, once received. Dear Abigail, we will pass this query on to SASSA and they will be able to advise as to the correct procedures and documents needed to be able to apply for an old age pension in South Africa. I applied for the Older Person’s Grant when I turned 60 which was three years ago. When I went to the SASSA office to apply, one of the things I was told to provide was a breakdown with affidavits stating how maintenance for my children was spent. How is that relevant to the Older Person’s Grant when my children are adults in their thirties now, it’s impossible to give that information. It was a dehumanizing experience and I am still trying to get the courage to go back and apply and am struggling as a result. My dad recently passed away and gets a old age pension. How does my mom cancel this? and is this months funds still available for her? Betaal Sassa ‘n bedrag uit vir begrafnis as iemand oorlede is? Thanks so much for picking this up. This has been rectified and the link now works correctly. Ek wil ook graag weet of die SASSA kaart jaarliks hernu moet. My ma se kaart verval Desember. My broer was by Sassa se kantoor en volgens hom het hulle gese dit is nie nodig om die kaart te hernu nie. Kan iemand asb vir ons meer duidelikheid gee want my ma is 83 jaar oud en sy stres elke dag oor haar kaart wat hernu moet word. What do I do as my Sassa card expires Dec 2017?????????? What is the funeral cover worth that is being deducted from the Sassa old age grant? I regret that SASSA is no longer responding to queries from YEI readers. A great shame, as it was a fabulous service for a while from SASSA – I suspect they no loner have the capacity to answer queries. Ek is 66 jaar oud en getroud, (buite gemeenskap van goedere) my man het ‘n inkomste uit belegging. Ek het laas in 1986 gewerk en het dus nie ‘n inkomste nie. Kwalifiseer ek dalk vir die “social grant” soos dit bekend staan? Bel asseblief 0800 60 10 11 om te vra waar die naaste SASSA kantoor is om verdere navraag by hulle te doen. There is something regarding the means test (for Old Age Grants) that’s not clear to me. Our (my wife and I) joint monthly income is R 8 685,65 (annual R 104 227,80). Our joint SASSA allocation is R1 672.92 per month, therefore all income adds up to R10 358.57 per month. My understanding was that joint income (monthly income + SASSA) shouldn’t exceed R12 300.00 per month. Your query will be sent to SASSA for response. The awarding of an Older Person’s Grant, after the income assessment, is based on a Sliding Scale. Therefore any applicant in receipt of an income will receive a pro-rata social grant. Hope this will assist you. My husband and I are going through a divorce. We have been separated for 2 years. He pays R5200 rent for my flat and gives me R5000 allowance per month. 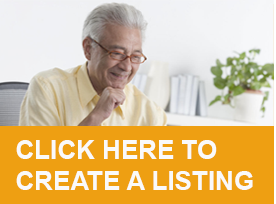 Can I apply for a state grant and if so what documents do I need. Thanks. Your query has been sent to SASSA for response. My mother is a retired teacher(single) and is still paying the bond for her house . Her monthly expenses are more than what she’s getting per month. As a result, she’s struggling to keep up with most of her payments. She receives about R7000 per month and her assets are worth less than R750000. Can she still apply? Kindly contact the nearest SASSA office on call 0800 60 10 11 to enquire on the updated Asset and Income Threshold. Kindly contact the following number 0800600160 and request them to send you a bank statement to verify the withdrawal. I would like someone to verify for me the sassa funeral benefit for the elderky, my gran oassed away 2 days ago she was 84 years old we are trully battling with the funeral arrangements..Does anyone know if theres a benegit from sassa we can get? SASSA does not assist with funds for funeral arrangements. Could someone please tell me why SASSA are either off line , short staffed, or closing early due to Public Holidays. I have heard all these, not to mention being given the run around for certified letters. To the point one either gets frustrated wasting money on transport they can not really afford in the first place. Not to mention finally being told ” you do not live in this area so must go to your SASSA Office.” I didn’t realise one had to go to a certain Government Office. After all one can renew drivers licences ,get new ID Books from any Gov Office. 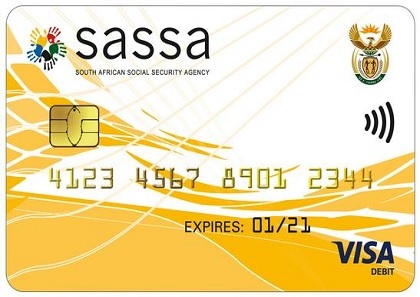 Any reason as to why SASSA is different. Having worked and paid taxes is it only right that when we get older we are treated with a little dignity and understanding when we fall on hard times and require help. A lot of Pensioners I’m sure if they could wouldn’t claim due to what they emotionally and embarrassingly go through . I fully understand the staff no doubt have a lot to deal with and have bad days but please ,it costs nothing to smile , be polite and helpful. Try it you might be suprised at the response you get back. So Onwards and Upwards I will continue with my quest of hopefully one day actually getting as far as being able to fill the form in and have my finger prints taken as stipulated. Not a happy pensioner who hadn’t planned having to make so many trips to just try and register for OLDER – PERSONS- GRANT. What is the ‘means test’ ? They look at your assets/income to see if you qualify for pension. I am a pensioner . My wife and I have five foster children. Our latest child is two and its taken several months to get him registered and the court order completed. For me to apply for a foster Grant for him I have to take him tobthe Sassa office with me since 1st April ( new ruling) so that he can be ginger printed immediately. Previously one could complete all the paper work first then return with the child for finalization and finger printing . It’s extremely difficult to sit at Sassa for five hours or more with a two-year old child. Last week I was 35th in the que and it was a nightmare so I left. What can be done to make this possible? Hi would like to no if my husband and i are eligible for sassa pension, I no longer work and am 60 years old my husband also stopped due to I’ll health he receives a pension of R7000 per mth. We only own a empty plot valued at 220 000. My daughter is going to build a small wendy house on this plot for us. What is the maximum income limit per annum to still get a full elderly pension. Good day. I am a 62 year old widow. Want to apply for the old age grant. I stay with my daughter in a rented house. What documents do you have to submit when you apply for the grant exept the ID document. Goeie dag. Ek wil asb weet. Word n getroude paar se inkomste saam bereken. Wat is die afsny bedrag voor ons kan aansoek doen vir ouderdoms pensioen.